Main scope: Corridor, wardrobe, entertainment, hotel lobby, corridor, exhibition hall, hotel rooms, home. The light will be on when human come into the sensing range, automatically off after 20s delayed time, need not switch off the lamp, convenient and useful. Built-in light sensor, smart light control switch can on/off the lamp according to the light ray of surroundings, the lamp will be on automatically at night when detect human into, automatically off in the daytime. As we are running an Amazon business,Hulorry Team is committed to developing and producing high quality & safe fashion products,we hope our products can provide help with you and bring your fun. If you are looking for a safe, good quality goods for your beloved families and children, our product will be your best choice. Please let us know if you have any issue about our products,Hulorry Team will offer efficient and premium service for you. USB charging,Portable-light, easy to install, can be pasted or placed. Made of high-quality material, durable enough for long time daily use. 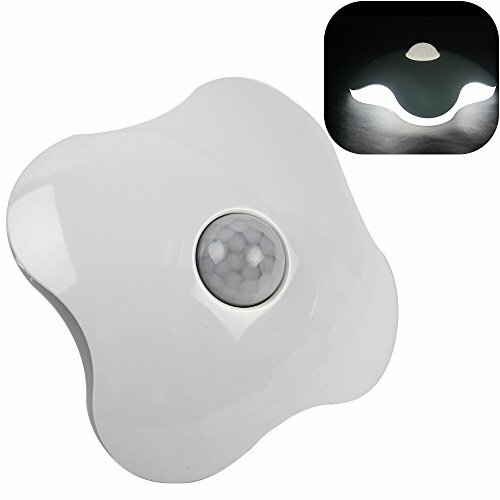 LED light with sensitive light sensor and IR sensor, , smart light control switch can on/off the lamp according to the light ray of surroundings, the lamp will be on automatically at night when detect human into, automatically off in the daytime. Perfect for Bathrooms, Basement, Hallway, Laundry Room, Stairwells, Bedroom, Cabinet, etc. View More In Computer Workstations. If you have any questions about this product by Hulorry, contact us by completing and submitting the form below. If you are looking for a specif part number, please include it with your message.